I live in the Northeast part of the U.S. This fall for the first time ever, no lady bugs trying to get into my apartment. 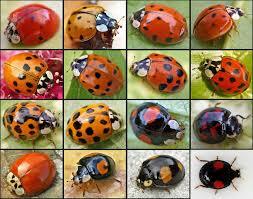 In the past the bottom of my window for about two inches up would be crowded in Ladybugs. Just to let you know. Peter. We seem to have plenty of Yellow jackets and Honey bees but no Bumble bees here between Albany and Eugene. Bugs, flies and gnats are everywhere. I don’t see many mosquitoes anymore though. Lots of birds including Hawks and even a few Eagles. The only thing different now is the Raccoons have disappeared. They used to be everywhere out here and now they are gone, For the last 20 years Ive seen Raccoons almost daily and now I haven’t seen them at all in 2-3 years. Very strange. Not many Bats like there used to be. Maybe thats why there are still so many bugs. We also seem to have a big population of Coyote’s now that we didn’t used to have. Things do seem out of whack. I live in the Central Upper Peninsula of Michigan (The Peninsula Between Lake Superior and Lake Michigan). We have almost no bugs. Lets start with Spiders…. I have always had a couple of dozen large spiders with large webs on my home. I never removed them because I enjoyed watching them so much. There webs would be full of all types of bugs. This year I had 1 Spider on my home and she did not even last for a couple of weeks. There are no bugs for spiders to catch in their webs. It used to be that if you had an outside light on in the evening it would attract hundreds of insects and moths. Now nothing but mosquitos. In the evenings you would see a lot of fireflies. The past 2 years none. This year when the June Bugs came up I only saw half a dozen. Usually there is dozens and dozens around the house. Earthworms too! Not many of those left either and I have wondered if that is because our ground has been so saturated from the abnormal heavy rainfalls. I used to have birds feasting in my big backyard on worms. Even cranes would be back there eating the worms. The birds that rely on the insects are nowhere to be found. Except the woodpeckers which I believe are struggling as they are working harder than ever to get bugs from the trees. If it wasn’t for the seed and meat eaters there would be no birds around. Only a handful of Bumble Bees! I only saw 2 grasshoppers and usually there is so many of them it is annoying. I can’t remember seeing any crickets or hearing them. Typically we see a lot of types of moths, not this year…. none! I never saw 1 bat this year. They eat bugs so they would starve here now. I miss the insects I enjoyed the insects. I miss the birds that eat the insects. This is a real serious issue and nobody is talking about it. The bugs that I did see Mosquitos, NoSeeums, and Rose Chafers in the thousands! Why? Radiation, Pesticides, Frequencies and excessive abnormal rainfalls are the major causes of this. I think! I live in Ottawa, Ontario, Canada and have seen very few bugs this year. Few spiders, fewer butterflies, no monarchs or June bugs. Few bees, and mayflies. Dragonflies are. okay though there are fewer ants, grasshoppers and birds. We have noticed a clear reduction of insects every year since 3/11 (Fukushima). Normally, when driving your car for a few hours, the wind screen and front grill are full of dead insects. Jeff, I’m responding to the story about the absence of wildlife on the West Coast, et al. I live in a suburb of a medium city in eastern Tennessee. I’ve been gardening for about 8 years in my backyard using raised beds, containers and a greenhouse. I’ve always had to fight insects, both those trying to eat my veggies or the ones trying to get into the house when I open the back door. I even had to install a screen curtain on the door going out to the garden about four years ago. This year, things are REALLY weird. 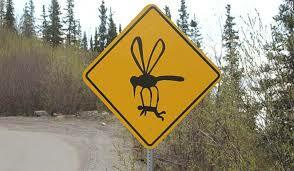 I never get bitten by mosquitoes anymore (I am fair skinned of English-Dutch ancestry) and they used to love me. Not now. They simply no longer exist in my back yard. Every year, I’ve fought with white nat-like things that eat my veggies leaves from underneath. Not this year. In the past, we’ve had to put netting around the tomato plants to thwart small attacking birds. This year, there are just no birds to be seen in the garden. Perhaps it’s because the tomatoes are less than 10% of their usual size. The cabbage is tiny (worms aren’t even interested or present), and my squash plants are burned…except those in the greenhouse that has a sun screen over it. One thing that my wife and I have noticed is the steep decline in the number of earthworms after a rainfall. 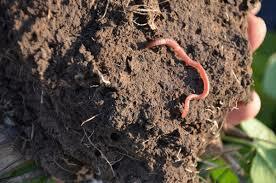 It used to be, we would see fat, healthy earthworms and in good numbers. After a rainstorm today, we see very few … and the ones we do see are skinny and sickly looking. My wife and I took a trip from Medford, OR to Oklahoma in July . We left on the ninth of July and went over 140 to Klamath Falls to Lakeview. We then headed due east past Plush across the desert to Winnemuca, NV. From there to Salt Lake City up to Colorado and to Kansas. We traveled over twelve hundred miles before I first had to clean the windshield! The bugs were almost NON-EXISTENT. We did find some bugs in Oklahoma but still nothing like in the past. On the trip home up through South Dakota, Wyoming and Montana, I cleaned the windows about three times during the entire trip back to Oregon…and this was in the dead of summer. Even going through some wetlands, we found almost no bugs on the windshield. In some stretches, we’d travels hundred of miles without a single bug splat on the windshield. When I first moved to Florida in 1970 to go to graduate school at UF, the ‘love bugs’ were so thick you couldn’t drive 50 miles before you literally couldn’t see out of your windshield. Well, yes, they were a nuisance and maybe some smart guy at the University with a killer instinct figured out how to get rid of them. Problem is they got rid of ALL the bugs at the same time, and almost all of the birds. Flocks are so small you can count them – hardly a dozen. I was away from Florida for many years, returned this year to the Gainesville area (North Florida). While driving at night, hardly 1 or 2 bugs will splatter on the windshield. Something is very, very wrong. Is it the WiFi? And they say that 5G is going to be so much worse for all living things. This madness has got to stop. Are we killing the world to have the convenience of ubiquitous or wireless internet? That’s insane. Better we go back to the Stone Age than to destroy the world. Ed Note – This is primarily do to the Fukushima Radiation ELE which has spread ALL OVER the Northern Hemisphere and the world. Bugs. They used to drive me crazy. As an avid motorcycle rider in Alberta – land of the midnight sun – I have had to, in the past, stop every 100 miles or so to clean the bug guts off my full-face helmet. This year, I did a 600 mile round trip in the beautiful countryside, and never stopped once to clean off bug splatter. After a full season of riding (winter is coming) this year I can tell you that there is something wrong in bugville. Whereas the moths used to be so plentiful that the street lights were dimmed by their omnipresence, these days you might see one or two. 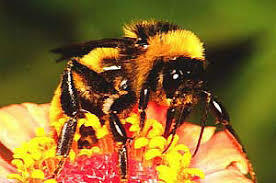 Bees – forget about them, too…you might be lucky to see one or two here and there. The swallows, finches, bluebirds are all nonexistent now. Lots of urban crows and land-locked gulls – scavengers that will eat anything – but no small bug eaters. Whatever is causing this (I bet on Fukushima) I believe put us past the tipping point to the point of no return. I hope I am wrong, but fear I am right. I really miss bugs! We have lived 18 years by a little lake in Arvada, Colorado, which is a suburb in the Denver metro area. When we first moved here, we could not open our back patio door in the summer or the kitchen would be loaded with bugs. We had to actually run a bug light inside our house at night because we were overwhelmed just opening any door going in or out. There was only a short time in late spring early summer this year that there were any bugs even coming in, and even then there were not many. The rest of the summer has been almost no bugs whatsoever. We also used to be awakened by birds in the trees in the mornings who would be singing very loudly. Now we rarely hear any birds at all. I live up in the mountains outside of Sequim Wash. I’m about 1200 feet above sea level. We have a lot of bugs and a lot of birds. I don’t see anything different than I saw years ago. Luv ya Man. Too many deer and too many bugs. This is an update from my July 10, 2018, report. Since then, we have seen a few crickets but not the numbers seen in previous years. The green parrots have returned, also fewer in number. I found two mud-dauber wasp nests but I have not seen any wasps. Brown widow spider webs are also evident but I do not see the spiders perched and ready to pounce. Our reflecting pond did develop a healthy population of mosquito larvae (which were summarily dispatched) – still have not seen any flying mosquitoes, and only a few houseflies. Still no sign of tomato hornworm. A few dragonflies are also around, not as many as in prior years. In summary, the insect populations in our yard continue to be substantially reduced. Friends who live a few miles away in the Pomona Valley report abundant mosquitoes; thus, whatever is causing the reduction in our neighborhood may be localized. Twenty years ago, a trip through the Adirondacks of New York would leave your vehicle covered in bugs. I would need to scrub the windshield at least twice on the trip. It’s not like that any more. They don’t cover the windshield. They don’t cover the bumpers and grille. I will have less than ten bug splats for the entire trip. Sometimes, there are none. Blackflies used to eat us alive when backpacking. Now there’s almost none. The bugs are gone. How long until everything on up the food chain disappears as well? In the mid Willamette Valley, I have a raspberry patch. There are some bumble and honey bees on the raspberry blossoms. Very few small birds now using the bird bath, unlike earlier this Spring. Some scrub jays and stellar jays still around. Much fewer swallows than last year. Drove to the coast, very few insects on windshield. Noticed that the tops of fir & evergreen trees around town are dead. A combination of lack of rain, radiation and other factors most likely stressing the trees. Topographical locations, rain or lack of rain, wind patterns and lots of trees or little flora may account for those areas with die-off and some areas with less effect. GeoEngineering (chemtrails) putting nano particles of aluminum into the environment incorporating into the flora and fauna, as well as a fire accelerant, is making forest fires much, much hotter. Many are arson-caused. The superstructure of America as designed by the founding fathers via the US Constitution is being dismantled piece by piece. Rense.com has covered quite well this ongoing process of destroying the American Republic and its people. When the White race in America becomes the minority in the nest 30 years, they will receive the South Africa treatment. It was not hard to see that when SA was turned over to the commie Black ANC government, under pressure from the libtards in Britain and the US, that another nail into the coffin of Western Civilization was hammered in. Another reason Georgia and Georgia Power Company SUX! Customers must keep paying a financing surcharge for the troubled Plant Vogtle nuclear project, according to the Georgia Attorney General’s office. Georgia Power has collected more than $2 billion in such finance charges from customers since 2011, according to Bobby Baker, a former state utility regulator and Atlanta attorney. Because of a 2009 state law enacted just after the Vogtle project was authorized, “Georgia Power cannot voluntarily agree” to suspend the surcharges, Senior Assistant Attorney General Daniel Walsh said Wednesday in a letter to state utility regulators. Atlanta-based Georgia Power, the largest partner in the project, previously said it has no intention to agree to stop collecting the surcharge, which adds roughly $100 a year to the typical residential customer’s bill. However, the surcharge can apparently be adjusted or frozen at a reduced level. Georgia Power agreed to cap the surcharge last year in a settlement with the Georgia Public Service Commission. Under that Oct. 20 settlement, the amount of Vogtle construction costs the finance charge is based upon was capped at $4.4 billion until the project is completed, in effect freezing the amount Georgia Power can collect each year in finance charges. The opinion from the Attorney General’s office does not appear to address whether the surcharge can be reduced. Lauren “Bubba” McDonald, on the Georgia Public Service Commission’s five-member board, raised the surcharge issue last month when he proposed that the PSC ask the Atlanta utility to quit collecting the financing charge. The late-March bankruptcy of Westinghouse Electric, a key contractor on the Plant Vogtle expansion, has raised questions about the viability of the project to build two new reactors at the nuclear plant near Augusta. The project, about a third built, is more than three years behind schedule and over $3 billion over budget. Given the uncertainty, McDonald said Georgia Power should be asked to suspend collection of the surcharge. The other PSC commissioners instead decided to ask the Attorney General’s office if such a move was legally possible. In his letter to the PSC, Walsh said the 2009 state law unambiguously stated that the surcharge “shall” be collected — meaning it is mandatory — based on the project’s ongoing construction costs, starting in 2011. Under heavy lobbying from Georgia Power, state lawmakers passed the Nuclear Energy Financing Act in 2009, shortly after the Vogtle project was approved from the PSC. This traditional approach “avoids having current ratepayers subsidize future ratepayers” who actually benefit from the long-lived nuclear plant, said Walsh in his opinion. But paying finance charges up-front “may assist in preventing any rate shock” after the project is completed, he added. Under the 2009 law, customers are paying about $414 million this year in financing charges for the Vogtle expansion, according to Baker, the former PSC commissioner. Through the end of 2016, customers had paid just under $2 billion in such charges, he said. The cumulative total will reach almost $2.38 billion this year, he said. 3:00: What a kind of risky, brave idea to essentially say, there are people on the left who are questioning what has been one of the tenants of the left, which is anti-nuclear, anti-nuclear power. 6:15: There are other whispers by people who care about the environment […] I hear them and nobody wants to say it out loud, like for instance, ‘Solar and wind are not going to save us.’ […] And to completely generate electricity for a home, those two panels you can put on the top of your roof, they can heat your hot water heater, that works pretty well, but to provide electricity, I don’t know what the exact number is, but I read some crazy number like you need a half-acre of solar panels. […] Because I have such respect for you I went into it with an open mind […] I really wanted to bring this here. […] I have started to feel, I’ve started to question my own support of that, I’m not not supportive of solar and wind […] we should try anything and everything. 12:15: You’re right they [France] do, they do it quite well, they don’t seem to have problems… they live longer than we do. 17:30: Why are the professionals [environmental organizations against nuclear power]? … it’s the money? It’s money. 20:30: I’m really happy to have shown this. […] I think it’s important what you’ve done here. I think we have to have this discussion […] I’m concerned about some of the statements that are made by some of the professional environmental groups and environmentalists. I don’t know what to trust sometimes. I know now that there’s some self-interests involved. […] On those days where there’s no sun, how am I warming up my pizza? And it doesn’t store like gas. I think we all have to have an open mind and we need to start questioning these things. I think we have to have this discussion, it shouldn’t be about ideological, I think we all need to tone down our ideology about this particular thing […] We’re the ones who should lead the discussion […] we want to have that discussion because we know that something is horribly wrong […] I feel so bad for our kids and our grand kids […] they will hate us a generation or two from now. I like being liked. Thank you Mr. Robert Stone for making this movie. You know, I try real hard not to put my two cents into the articles I re-post. I don’t feel that I really need to, most of the time, the stories say it all. But damn it! When there has been a flood of radioactive yuck pouring into our Pacific Ocean every day since March 11, 2011, I can’t help but wonder what kind of sick f__ks these people are. Michael Moore? Well no more faith in him for anything, what a stinking moron! Interview with NHK journalist Morley Robertson, by the Center for Remembering 3.11, published Jun 30, 2012 (emphasis added): I begin with the radiation leakage. Radiation leakage exerts a long term effect on the environment. It contaminates our food chain, the groundwater and the ocean. And the contaminated seawater will circulate around the globe. We never know how much this will impact on the environment… We’ll never able to study such issues with empirical certainty… [Due to nuclear testing] we have already accumulated “hidden losses” of radiation damage… how much is the [Fukushima] cesium in relation to that?… I believe we should enjoy delicious food rather than worrying about the food. I enjoyed the town’s delicacy… I didn’t mind about how the beef was produced or where it came from. As long as it is tasty, it is no problem for me. With regard to radiation, I have become more optimistic. My hypothesis is that it’s no use worrying about radiation. For people in Fukushima, they have a lot to worry about their future, like damaged reputation… One reason why we have relied on nuclear plants is because we didn’t know about the facts… We need to face the facts… Rad-waste from the nuclear cycle is said to be unsolvable even after 2.5 million years. It’s heart breaking. It’s devastating. How do you clean up a dying ocean? The predictable tragedy at the Fukushima nuclear power plant in March 2011, continues to destroy fish, mammals and critically important ecosystems in the Pacific Ocean. TEPCO and the Japanese government have allowed one of the greatest crimes against humanity to spread devastation and destruction not only to the Japanese people in the area who have suffered massive cancer rates, illnesses and loss of their livelihoods, but an ocean now affecting us whether you live on the East coast or San Francisco. That was in 2012. By 2013, Fukushima was pouring 300 TONS of contaminated water into the ocean EVERY day. I wonder what current testing shows for Bluefin tuna and other species of popular fish? The American people have the right to know, even if the news is bad. Tritium soaring in water at No. 1 plant (July 2013): “A Nuclear Regulation Authority official recently said contaminated groundwater from the plant, which is being fed cooling water from outside, may be seeping into the ocean and that the matter must be addressed carefully because data is limited.” Tritium is a radioactive isotope of hydrogen. All of these are after Fukushima. Are all of them just a coincidence? Why so many mysteries after Fukushima? “A crisis among California sea lions that has resulted in nearly 1,000 stranded pups and older animals arriving starved and sick on coastal shores has reached the Sonoma Coast, where six animals have been recovered in recent weeks, according to the Marine Mammal Center near Sausalito.” Photos of the stranded babies is absolutely heartbreaking. “Anand Naidoo, CCTV anchor: From what we know about what is going on at the plant right now, is this going to get worse? “Dr. Janette Sherman, radiation expert: I hate say this, but yes I think it will. And my concern is the enormous amount of radioactive material flowing with the water into the Pacific Ocean. And we know that the ocean flows northward along Alaska and down the coast of Canada and the United States. And I think it probably will imperil the entire Pacific Ocean, and the the sea life that’s in it. “Naidoo: What you’re saying here is that this water can actually reach other shores, can reach other countries as well? “Sherman: Oh absolutely, we already know that. “Naidoo: The radioactive content in this water — does it dissipate, or does it just stay in the water all the time? CBS: Millions of dead blanketing miles of coastline, “…like a red carpet… 12-16 inches thick… never seen anything like this” — ABC: We wonder if they’re sick, or it’s something in ocean? Scientists don’t have an explanation. “NBC (Weather Channel), Jun 16, 2015: A pair of bizarre invasions have left California beachgoers perplexed… Large purple blobs… known as sea hares [and] hundreds of miles to the south… tuna crabs washed ashore. 10 giant whales found dead in Pacific off US coast — Victims of ‘mysterious affliction’ — Mass die-off of walruses and seabirds reported nearby — Experts: “Something out of the ordinary is happening” — “Really perplexing… We’re at a loss… Maybe whales ran into a toxin”. Kodiak Daily Mirror, Jun 19, 2015: “At least nine fin whales have been found floating dead… the exact numbers are still unknown… Daily Mirror columnist Zoya Saltonstall also photographed a dead fin whale at the mouth of Afognak Bay around the last week of May. She said she was told that a “very young fin whale calf” was also found dead, floating nearby. “There were long black and white stripes along the whale’s body and it was bloated and swollen,” she said. I lived in California 40 years. Through earthquakes and droughts. Scientists are saying all this could be because of the big drought in California, others are saying warming water in the Pacific Ocean. Can’t be Fukushima, oh, no. “When the USS Ronald Reagan responded to the tsunami that struck Japan in March 2011, Navy sailors including Quartermaster Maurice Enis gladly pitched in with rescue efforts. But months later, while still serving aboard the aircraft carrier, he began to notice strange lumps all over his body. Testing revealed he’d been poisoned with radiation, and his illness would get worse. And his fiancé and fellow Reagan quartermaster, Jamie Plym, who also spent several months helping near the Fukushima nuclear power plant, also began to develop frightening symptoms, including chronic bronchitis and hemorrhaging. A heartbreaking Interview – do Americans care? ‘Our’ government does not I can assure you. “Although nobody knew the amount or exact location of melted fuel in the reactors, the old road map indicated the “flooding method” of removal, meaning the containment vessels of the No. 1, No. 2 and No. 3 reactors were to be filled with water. This method is similar to the usual removal method. But probing the conditions of the containment vessels by various means revealed the difficulties of stopping the water leakage and problems regarding earthquake-proofing. It is only natural that the new road map proposes to reject the flooding method for the time being and study other removal methods over the next two years. What we do not understand is why the government and TEPCO continued to reject the recommendation of outside experts to study the matter more broadly. Over four years into that disaster and still no one over there seems to know what they’re doing. All that contaminated water sitting in an earthquake zone. Okuma, Fukushima prefecture, northeastern Japan lines on what’s known as the “Ring of Fire” — an arc of earthquake and volcanic zones that stretches around the Pacific Rim. Good place to build a nuclear power plant where 90 percent of the world’s quakes occur in that region. On October 15, 2015, a 5.5 magnitude earthquake hit Fukushima. Wait until another 9.0 hits. It will. In May 2015, the UN says TEPCO might have to dump all that contaminated water into the Pacific Ocean. My God, it’s nothing but unchecked insanity! Where the hell is the U.S. government? “Mind-blowing” die off of seabirds underway from California to Alaska — Experts: “This is unprecedented… Worst I’ve ever seen… Why they’re dying, I’m still baffled” — “Every bird we’re seeing is starving to death… Basically withering away” — “Catastrophic molting” due to unknown cause – a small sampling. “San Francisco Chronicle, Oct 15, 2015 (emphasis added): [T]housands of common murres… have been found dead… “all signs point to starvation from a lack of forage fish,” [Marine ecologist Kirsten Lindquist] said, adding that the same problem has been documented along the Oregon, Washington and Alaska coastlines… many endemic marine birds and mammals are suffering. To even suggest this might be from Fukushima is to invite being called a conspiracy nut. This is also very telling and should concern everyone, October 3, 2015: Unpublished gov’t map shows massive plume of Fukushima radioactive material just off West Coast of North America. I have no doubt some testing is going on at universities up and down the Pacific Coast. According to the State of Alaska’s Environmental Health: “The U.S. Food & Drug Administration (FDA) is the lead agency on food safety. Both FDA-regulated food products imported from Japan and domestic food products, including U.S. seafood, have been tested. FDA has found no evidence that radionuclides of health concern from the Japanese nuclear power plant disaster are present in the U.S. food supply.” Really? According the much of the mainstream press, radiation from Fukushima has shown up in Canada and the Pacific Ocean but the levels are so low, you shouldn’t worry about it. Nothing to see, move on. Really? “A record-setting toxic algal bloom off the West Coast of North America, that has impacted marine life and fisheries since the spring, has delayed the start of California’s commercial Dungeness crab season. On Nov. 3, The California Department of Public Health (CDPH) advised consumers not to eat Dungeness and Rock crabs that were caught in waters between the Oregon border and the southern Santa Barbara County line after dangerous levels of toxins produced by the algae were discovered in the shellfish. “Recent test results have shown persistently high levels of domoic acid in Dungeness crab and Rock crab, which have been caught along the California coastline. The levels have exceeded the state’s action level for the crabs’ body meat as well as the viscera, commonly referred to as crab butter, and therefore pose a significant risk to the public if they are consumed,” the CDPH said. Blame it on anything but Fukushima. My heart breaks for our fishing families, which I have always supported. A lot of people have read the truth about Fukushima and will not eat any fish coming out of the Pacific even as far away as Alaska. They just don’t feel it’s safe. Here and there I can find wild Atlantic salmon; I NEVER eat farm raised fish. Our oceans provide us with so many wonderful things besides beautiful mammals, heavenly beaches and delicious fish of all kinds for consumption. Many native American tribes depend on fish like salmon as a food staple. Our oceans also provide critical plant life. Too many do not appreciate the importance of all sea life. TEPCO and the Japanese government are guilty of a monstrous crime against humanity and still they haven’t taken responsibility. Thousands of sea pups, sea lions, countless whales are starving to death as I write this. What they eat is contaminated and disappearing so those mammals are starving to death. But, oh, no, it’s not Fukushima. Every scientist with a resume two miles long is wrong. It’s only government mouthpieces and lawyers for TEPCO and Japanese government officials are right. Same damn thing as ‘smart’ meters only this time it’s killing an entire ocean. How do you clean up an ocean? For the love of God, remember this link above? West Coast of North America to be Slammed by 2016 with 80% As Much Fukushima Radiation As Japan, June 10, 2015. More is coming our way. I was out at Monterey Bay two years ago and interviewed fishermen there and in San Diego; mostly crabbers. Most had never heard of Fukushima or didn’t remember such a monstrous event. Some laughed at me when I told them what was underway and some time in the near future would affect their crab hauls. As I stood there watching those guys it was kind of sad they didn’t seem interested in something that was going to hurt them down the line. I doubt they are laughing now. That means all those fishing families who catch dungeness crab are suffering bad because their season is pretty much dead. How about all the other fish like salmon, abalone, cod and more that come out of the Pacific? Hundreds, if not thousands of restaurants all up and down the West coast from San Diego to British Columbia are going to feel this financially in a bad way. I want you to go to Rense.com and look at the big photo. It speaks for itself. In Canada, blow the whistle and they arrest you. If you scroll down the right side of the page you’ll see an entire section on nothing but Fukushima. Jeff has been out there from the beginning keeping this deadly issue at the forefront. This is nothing to smirk at and it’s certainly not some ‘flaky’ issue cooked up by conspiracy nuts. There’s been a conspiracy all right and it’s to keep the American people in the dark. Out of sight, out of mind might seem like a good idea, but a lot of suffering has been going on since that earthquake. As scientists have said, Fukushima is unprecedented. Only a fool or someone who benefits from keeping the truth from the American people would have the audacity at this point to say all of this is not a result of Fukushima. As I ask earlier: How do you clean up an ocean? What about all those mammals starving to death and not reproducing, all the dead fish? New York Times Op-ed by H. Gilbert Welch, Nov. 5, 2014: An Epidemic of Thyroid Cancer [in South Korea]?… Nowhere in the world is the rate of any cancer growing faster… Where did all those new thyroid cancers come from? They were always there. As early as 1947 [See: August 1945 atomic bombings of Hiroshima and Nagasaki, both ~150 miles from S. Korea] … thyroid cancer was a frequent finding during autopsies. Studies have since shown that over a third of adults have thyroid cancer… Even without a concerted effort to promote screening, thyroid cancer incidence in the United States is up threefold since 1975. To reverse this trend, we need to actively discourage early thyroid cancer detection… having doctors not look too hard for early cancer is in your interest… Too many epidemiologists concern themselves.. with hoping to find small health effects of environmental exposures — or worse, uncertain effects of minor genetic alterations. Wall St. Journal, Oct 21, 2014: A South Korean court for the first time has ruled in favor of a plaintiff claiming… thyroid cancer was caused by radiation from six nuclear power plants located [5 miles] from her house… “She has lived within 10 km of the plants for over 20 years and has thus been exposed to radiation for a long time. Other than the radiation from the nuclear reactors, there’s no clear reason for her cancer,” the court said… [A] government-commissioned study in 2011… showed women living within 5 km of nuclear plants had 2.5 times higher incidences of thyroid cancer… [In a study of the plaintiff’s county by a] nuclear-power research institute… between July 2010 and December 2013, about 1.4%… were found to have thyroid cancer… in 2011 [women had] 114 cases out of 100,000 [0.11%].